Apple’s mobile operating system iOS has become highly sophisticated in the last few years. The tech giant is expected to offer a glimpse into the next-gen iOS 12 at the Worldwide Developers Conference (WWDC) in June. Apple has already confirmed that the WWDC 2018 would be held between June 4 and June 8. Besides iOS 12, the company is expected to unveil tvOS 12, watchOS 5, and macOS 10.14 at the conference. Let’s take a look at the iOS 12 features, possible compatible devices, and release date. According to a report from Bloomberg, Apple is developing iOS 12 under the codename “Peace.” It’s no secret that the iOS 11 software is full of annoying, nasty bugs that hurt the user experience. Apple has rolled out a series of software updates to fix the iOS 11 problems, but the underlying issue of stability and reliability remains. Inside sources told Bloomberg that Apple would delay some new iOS 12 features to 2019 to focus on performance and reliability. Apple’s priority with iOS 12 will be to clear shortcomings, clean up the code to improve performance and minimize bugs, and more tightly integrate the software and hardware. Apple is always under pressure to wow the developers and consumers with each new iteration of iOS. But it makes sense to step back and focus on the core issues once in a while rather than introducing tons of new features. It doesn’t mean the iOS 12 would not get any new features. But before diving into the potential iOS 12 features, let’s take a look at which devices would be compatible with the new OS. Last year’s iOS 11 supports phones as old as iPhone 5S that was released in 2013 and iPads going back to the iPad Mini 2. The iOS 12 is expected to drop support for at least a few older iPhones and iPads. According to ZDNet, the upcoming software could drop support for the iPhone 5S, iPad Air, and iPad Mini 2, all of which were released back in 2013. The 6th generation iPod Touch is expected to get the iOS 12 support. It was released in 2015, so we can expect it to have at least another couple of years of life before Apple drops support. The upcoming watchOS 5 is expected to drop support for the original Apple Watch, and the tvOS 12 would not support Apple TV devices older than the 4th-generation. The iPhone users have been anticipating a system-wide Dark Mode for years. It was quite surprising that Apple didn’t add Dark Mode to iOS 11 to take advantage of the iPhone X’s OLED display. The system-wide Dark Mode on OLED screens could significantly boost a phone’s battery life. The iOS 12 is expected to bring Dark Mode, especially considering Apple will be releasing two OLED iPhones in September this year. Samsung has been offering an Always-on display on its flagship smartphones for years. It allows you to see notifications, time, and other details without having to touch or unlock the phone. The Always-on display feature would consume minimal battery life on OLED iPhones while offering something really useful. According to Bloomberg, Apple is considering the idea of universal apps with iOS 12, similar to what Microsoft tried to do with the Windows 10. The iOS 12 and macOS 10.14 could be more tightly integrated to offer a uniform user experience. Apple has been focusing on continuity with iOS and macOS, and it is expected to push further in that area with cross-platform apps. For the last several months, investors and analysts have been calling for Apple to look into the public health crisis concerning smartphone addiction among young kids. Apple will likely respond by offering better parental controls in iOS 12. According to the rumor mill, the upcoming software would let parents know via a Digital Health tool how much time their kids spend staring on iPhone screens. It would allow parents to monitor the screen time of their kids. The iOS has been around for more than a decade, but some features still test users’ patience. If you are taking a photo or video, you have to go to Settings > Camera to toggle on Auto HDR, change frame rates and video formats. Why can’t Apple add these settings directly into the Camera app to make things easier for users? According to GSM Arena, the company would add settings within the respective apps with iOS 12. Siri has been around for years, but its AI capabilities seem outdated compared to Google Assistant and Amazon’s Alexa. Apple seriously needs to up the game in AI and machine learning if it wants Siri to stay relevant and competitive. We expect the tech giant to improve Siri with the iOS 12. Among other things, Apple is expected to redesign the Stock App and the Do Not Disturb feature. 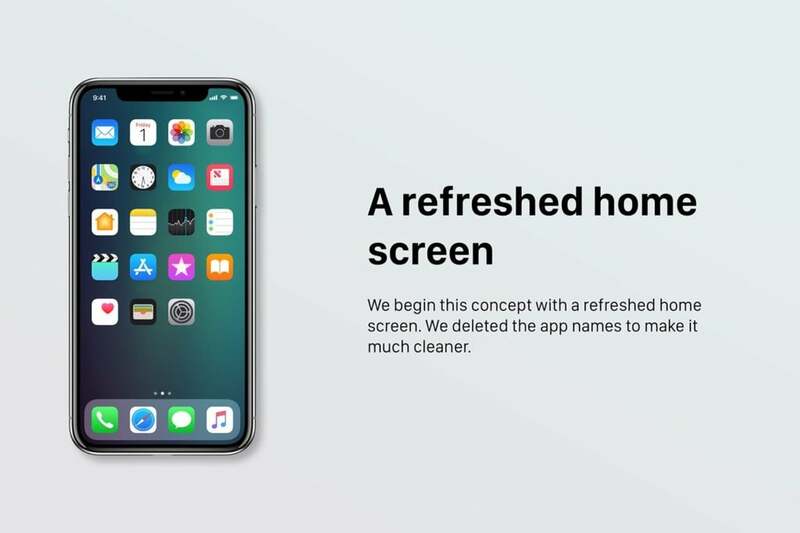 It is also expected to offer multiple timers, improve the Face ID software components, and enhance the iPhone X gestures. Recent reports suggest that the iOS 12 will also bring hundreds of new emojis and some new wallpapers. We know that Apple will unveil the iOS 12 at WWDC 2018 on June 4th. The public beta is expected to release soon after WWDC. However, the public version of iOS 12 will not release until September, when Apple would introduce new iPhones. The software would come pre-installed on this year’s flagship iPhones.